I choose multi-color because I was like I'm multi-color. I choose this picture to draw because the picture looked good. I choose this quote because it went well with my word. The steps or things I did to draw this picture, I picked a picture out of my iPad, i uploaded to my folder. After i uploaded the folder and put it in the folder, i go to photoshop and pick a background and the size of how big i want to make my poster and picture, than i place ,y picture on the right side of the poster, next to it is my word, multi-color. for the words i typed i went to this website for cool fonts and text stuff, (i forgot the website name). than when you pick the one you want, your going to upload it to your folder. than after i picked my route and typed it, i started to draw/trace my picture on photoshop. Traced my hair, facial feature, and my hand and cloths. How I came up with this topic, I was watching youtube and I was watching J-Cole, crooked smile, and I noticed that at the end of the video it said, in memory of Aiyana Stanley-Jones. So I searched her up and it says that she got shot by the police, and I was like why don't I do something about police shooting African American people, in the last past year. How I feel about this is that people is getting shot for no reason by the police for no reason. 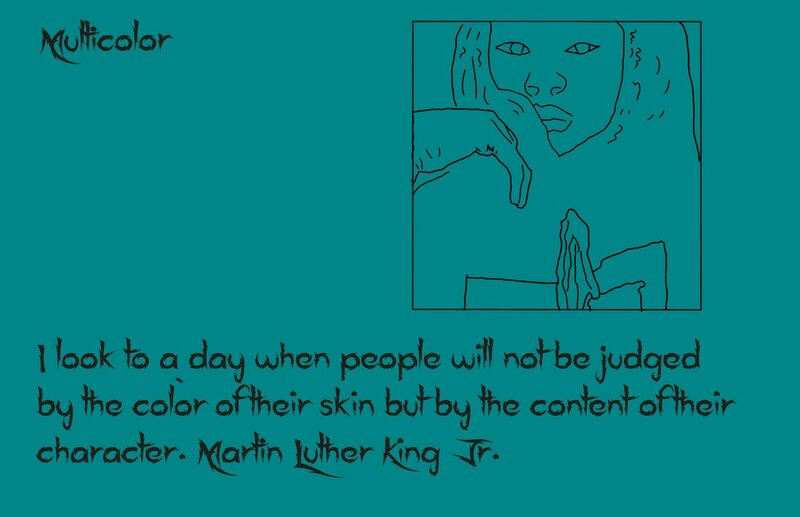 My message for this project is to stop the violence, stop doing drugs, and stop shooting innocent kids or people for the color of their skin. R.I.P Aiyana Stanley-Jones. What I did was I made a house and a beach house and a little hideout made out of ice and a torch with fire, and thats all i made in minecraft.